I just answered a question from a reader about my experiences with SBPRA and thought I should include my answer here as well. 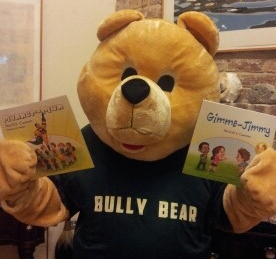 I have been very happy with SBPRA, and have had all my nine children’s books published by SBPRA. (By the way, I am not an employee of SBPRA, I am only one of their many successful authors. I am happy to post relevant comments from readers that will help other authors, but I will not post derogatory propaganda… there is way too much of that already!) Please stay tuned!! Please read on, to discover some of the advice and answers to questions that I have already answered. If you have other questions, after reading this and all the comments, please send me your question and I will do my best to answer it! SBPRA has also provided me with two Fundraising Websites, enabling me to help others by offering to send 50% of the cost of the books to the participating Fundraiser organization. An earlier one was for the Women’s Economic Council Foundation which provides programs and scholarships for women. My current ones are for CureJM (http://sbpra.com/curejm/) which is to help find a cure for Juvenile Myositis – which affects 17,000 kids in the US alone. This photo is of 9-yr-old Addie (now 12), who suffers from this disease. I learned about her while preparing Gimme-Jimmy for publication, and put her name on the Acknowledgements page as one of my “Prayer Children” for whom I wrote the book. In my next book, Manner-Man, Addie was actually a character on the cover (compliments of my wonderful illustrator, Kalpart!) and she has been in all my subsequent books You can see she is happy about it! She and kids like her are the reason for my CureJM Fundraiser. My newest fundraiser is for imbullyfree.org to help prevent and cope with bullying. (http://sbpra.com/imbullyfree) SBPRA has been wonderful – setting up the websites and handling the administrative portion – and should be credited for also sharing their profits. Not many publishers I know will do that! Please check out these websites if you get a chance! Since this post, I have received several questions about how I feel about SBPRA, so I have decided to add a condensed version of my latest response to a potential author who has had his manuscript accepted by SBPRA. He had some reservations after reading some feedback he found online. “I am sorry you have read some negative propaganda, although it is good that you are doing some research about something so important. I will try to answer your questions as best I can. First of all, let me say that I do not want to try to talk anyone into anything. I personally have been very happy with SBPRA – and go on record about that often. I can only speak for myself – although I know lots of other authors who are very happy with SBPRA as well. It seems that one can find a lot of griping and complaining on line, but not so much praise… There are also a few linked websites that seem to be on somewhat of a witch-hunt as far as I can see. I try to stay out of the fray as much as possible! I am often asked about royalties, and I must stress that each contract is different, so I only know about mine. However, I have found that many authors don’t understand the allocation of royalties as determined by the amount of books sent to online stores by the printer. Amazon sales, for instance, does not immediately translate into royalties – because there’s always quite a lag, and difficult to track. Amazon will buy so many books, but the author and publisher get no payment until after the books are actually sold, so there is delay involved. Eventually it evens out…and I have never had a problem getting paid. It also seems that many authors do not read or understand the contract offered to them. SBPRA is pretty clear about what they expect from you and what you can expect from them. They are not a Self-Publish Press which has authors buy a set amount of books upon publication. I refer to them as “Help-Publish” since they do a lot and we, the authors, have to do a lot too. They get your book to the marketplace, such as amazon.com, barnesandnoble.com and lots of others, and then you have to help with social networking and responding to things like Google Alerts and looking for other marketing opportunities, to get your work recognized. Their philosophy seems to be that they will offer to publish books that they feel have potential, giving opportunity to many authors who otherwise might not find a publisher willing to even read their manuscript, and then provide extra support to the “break-out” authors. You have to be willing to help market your book, although you will be given a lot of advice on how to do that. If you wish to pay for extra help, that is also available – according to what you think you need. One year there were about twenty authors who reached 1000 sales, and they have been provided with a lot of free marketing. I was lucky enough to be one of them!! Many of the large publishing houses offer advances (although most of them require you to pay them back if sales don’t equal the advance you were given.) Small Presses, as far as I know, do not. I contributed a relatively small amount to the publication of my first book, Santa’s Birthday Gift, because I had faith in my book and a willingness to help get it out to the children and let them decide whether or not it would be worth buying. The book has won two awards, and has been on the amazon best-seller children’s list in November & December for the past six years! At this point, my book is over 6000 – and my other books are also doing very well. As for editing, I think it’s the best investment an author can make, and should be required! Books with grammatical, spelling and punctuation errors are not going to get very far…and you can’t rely on spell-check which sees aisle, isle and I’ll as perfectly acceptable !!! I have found the SBPRA client communication very profesional. They make books available to the authors at a reduced rate, and will allow you to get them for review purposes at about the wholesale rate. I do not try to sell my books, preferring to let them be purchased on-line or at the stores that carry them – although I do have several fund-raisers where schools or organizations can buy the books at a reduced cost to them, and then sell them for whatever they wish to their supporters. I usually go to those events to sign them and read to the children as well – because that is a lot of fun for me!!! I also had many Barnes & Noble book-signing events in upstate New York, where they sold very well and were put on the shelves with the covers facing out. (My printer does not put the title and author on the spine of picture books, so they tend to get lost when stacked on the shelves.) I set these up myself by going to the store and talking with the CRM (Community Relations Manager) and giving her a copy of my book. It sold itself. I have not fared so well in the Philadelphia area which refuses to consider POD (Print on Demand) books. My first book was published in Nov. 2009. SBPRA has provided opportunities to send my books to their international expos, they have offered me support and advice whenever I have asked – and I have been very happy there. I do not want to talk anyone into anything, but I will be happy to answer questions. My only other point is that you also need to take into consideration how long you want to wait to get feedback from other submissions you may have made to any of the big publishing houses. It’s really up to you!!! SBPRA offers lots of contracts, tailored for each author. They have all kinds of different contracts for different types of books – and it would depend on your ability as well as your marketability, and what they think will sell well. I know they used to have an offer that if you would guarantee a certain amount of books pre-publication, they would offer a contract along those lines. What do they do to help the author (author help) personally from beginning to end publish a manuscript? Do you pay for each segment like the illustrator, editor, designer, printing, etc? – I really can’t comment except about children’s picture books. Yes there are illustration expenses if you don’t have your own illustrator – and that was the largest part of my investment because I fell in love with Kalpart’s illustrations and was willing to invest in their artwork to help sell my books. Their illustrations are awesome– and I can’t say enough about their covers. You know the “don’t judge a book by its cover” line? 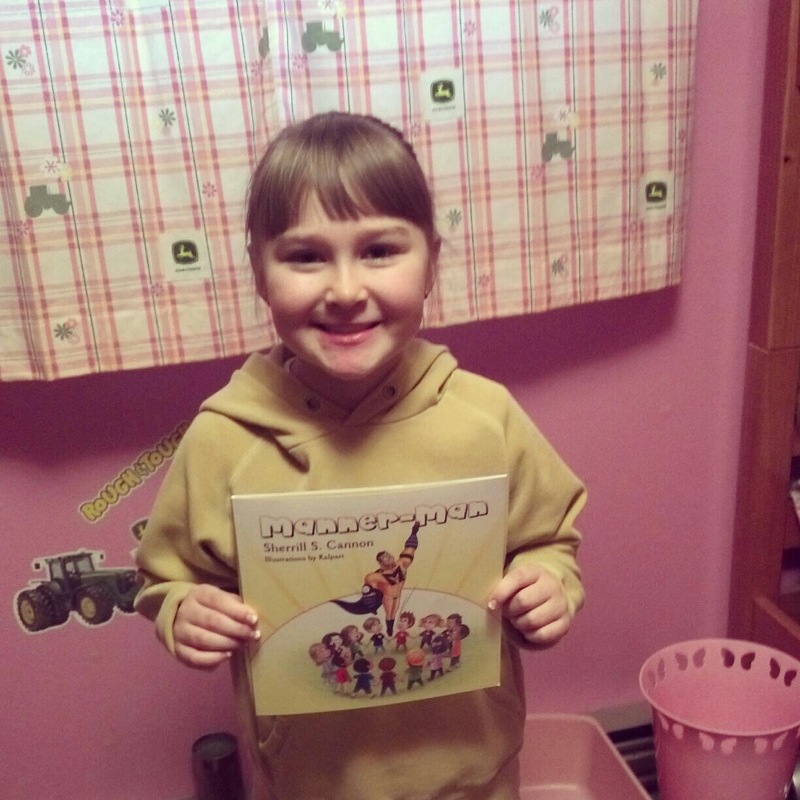 In the children’s picture book world, your cover helps sell the book!!! Anyway, once you are under contract they walk you through the rest, which is included in the initial charge. Their contract is very clear about what they will do, and what you will have to do to help market the books. Do you feel comfortable giving me some idea of the “author help” cost? – I have no idea of the cost of publication now, although I know it’s more expensive and they are more selective about which authors they accept. (But don’t forget that there are some publishers that say they don’t charge anything for publishing, but you are required to pay $4000+ for marketing.) The illustrations were a per/illustration cost, and I don’t feel comfortable quoting anything about that, since I have no idea what kind of book you are hoping to publish nor what kind of illustrations you need. That would be between you and the illustrator. I also have no idea what the initial costing is now – but the best way to find out would be to submit and find out what they offer! You don’t have to accept anything! Hope this helps! – Let me know if you have further questions!! Some advice about editing, since this is really important!! I am inserting here, the resolution to the frivolous lawsuit which probably has affected many potential SBPRA Authors. It was settled “with no admission of guilt and no violation of the law.” (I will post the entire thing at the conclusion of this page, if anyone cares to read it.) Please be assured that SBPRA is both ethical and influential in the world of books…and it’s time to submit your manuscript to see if you will be accepted by this awesome publisher!! Incidentally, I recently posted on the main page about the fact that four of my titles are on the shelves in Taiwan and are now also in China and India! Please take a look at that notice, since it shows how much SBPRA is doing for its authors! Robert Fletcher, CEO, successfully overcomes damaging allegations and declares that a settlement is a victory when dealing with any government agency. “This suit should never have been filed,” Mr. Fletcher continued. “If the litigation had any merit, they would have pushed it harder and not taken six years to deal with it. Furthermore, Theresa Edwards, the attorney who filed against us was asked to leave her job for ethical and competency issues and we believe that the former Attorney General, Bill McCollum allowed the suit to get more votes in a failed attempt to get re-elected. Mr. Fletcher went on to say that, “Settlement was the best action for our constituents as it allows us to concentrate on the future and not continue to pour money down the legal drain hole of America’s quasi-political legal process. Most importantly, we want our authors to realize that this litigation did not include our current businesses. The suit was only directed at older companies that had a completely different business model and had already been dissolved”. Thanks for the info! I had a partial manuscript looked over by SBPRA (the prologue and first 3 chapters) and they have agreed to publish the work based on just that and sent me 2 separate contracts. Each contract would result me me sending them x amount of money to cover what I assume is the cost of the book going to the presses. There seems to be an equal amount of good and bad things people are saying with SBPRA and I am concerned that either I am getting some how scammed or that I am being taken advantage of. I do not mean to accuse anyone of anything but my question is in your dealings with SBPRA did you have to also give x amount of money up front for your books? And does the negative flak out their have an affect on the authors such as yourself that they are publishing ? “concerned that either I am getting some how scammed or that I am being taken advantage of”, then you probably should look elsewhere. I was honored and thrilled that they were willing to take a chance on me – and I had enough faith in my books to help get them published. Good luck with whatever you decide to do. Thank you for your post in regards to SBPRA. I am working on a novel and it is in its raw version and I understand that there are many cases of first time writers stepping into the quagmire of contracts, etc but I have always been with the knowledge that no money should part hands from the writer to anyone they send their work to unless they advertise costs through advertising (which usually ends up being in the vanity publishing fold that should be avoided.) My concern is this…I am writing this book in order to get it out of my head and I am in no financial position to contribute any financial stakes up-front, so would this mean my work would never be seen? Also, there are many cases regarding copyright infringements, mistreatment of first time writers etc and I know for a fact that after the months of torment in my head getting this out, then if I got abused or mistreated by anyone financially or contractually I would be extremely miffed off possibly to the point of insanity as I do not like not accept mistreatment of others let alone myself. What guarantees would I have this wouldn’t happen to me? Hi Sean- This is a difficult post to answer. It sounds as if you have a wonderful novel in process and wonder where to submit it. Most help-publish and self-publish publishers require some financial investement from the author. SBPRA has many kinds of contracts which are dependent on the quality of the manuscript as well as its marketablilty, so there are no “set fees” advertised. Once you submit your manuscript, and it is accepted, then a contract would be offered – which would be enitirely your decision whether or not to accept it. Unfortunately, there are no guarantees! The big publishing houses do not require any kind of financial upfront money from the author, and even provide an advance if the manuscript is accepted (usually with the understanding that enough copies will be sold in order to cover the advance.) Since you feel you are not in a position to contribute right now, my suggestion would be to try submitting to the larger houses – and try to find an agent who will help you with that. Good luck! I have already had a book published through Amazon’s Creatspace. For the book I am working on now, I wanted to find a literary agent. I submitted part of what I have to them and they have offered me the choice of two different contracts. The first is Option 1: Joint Venture Publishing Agreement:Bonus To You at 1000 Sales and 2) Option 2: 100 Pre-Sales Publishing Agreement. Which one would you choose? You didn’t mention the initial outlay for either option, nor what kind of book you are hoping to publish, but the answer would depend on whether you feel you know 100 people who would be willing to pre-pay for a copy of your book. Since you already have one book out, at least your friends and fans know your writing style so it might be easier. If you feel your book is very marketable, then the bonus sounds great – but keep in mind that it takes a lot of marketing effort to reach 1000 sales. (You also didn’t mention the royalty structure for each contract.) Since you asked, I personally would go for the bonus, since I know 1000 sales is possible – but it doesn’t happen right away, so be prepared to wait. However, I hope you know that this is a decision that only YOU can make! Congratulations on having received not just one but two contract offers for your book. That is awesome!! When you achieve sales of your first 1000 books we will pay you a $1000 bonus and subsequent books by you will be published at no charge. Thus, you can really consider this a “no cost” option. The joint venture program allows you to go from your manuscript straight to a professionally printed book as quickly as possible. We include all typesetting and cover design necessary to finish your book and will make your book available to thousands of book outlets around the world as well as direct sales from the website we will create for you. There is a one time payment $995 that covers our costs of production. In the spirit of a 50/50 joint venture, we ultimately offer a 50% royalty. We do offer a payment plan for the $995 if needed. The agreement below may be filled out online here, including signature if this is your preferred Option. Our presell publishing program will cost you nothing to publish your book as long as you can pre-sell 100 books. Many of our authors know they will sell 100 books or they just buy them right away. Many of our authors have friends and family and organizations that support their writing and they buy the 100 books to help the author. Once 100 books have been sold, either by your direct efforts or via the website that we create for you, then we will move ahead with the publication of your book from start to finish. There is a one time fee of $150 for which you receive a permanent ecommerce selling website for you to use in achieving and tracking your sales. We will build the selling website for you, it is your responsibility to sell the books. Advance sales of books is fairly normal in the industry. The 100 Presales Option Agreement is below. The agreement may be filled out online here, including signature if this is your preferred option. Hi Julie – I really don’t think I can offer advice on this, because it is something only you can decide… My focus on my first book was to get the book out ASAP and let the readers decide its worth. You are very fortunate that you don’t have any illustration costs, because that is the most expensive part when publishing a picture book. I invested a lot in my illustrator, but I feel it was a wise investment for me. Only you can decide what is best for you! Whatever you decide, I wish you the best! Congratulations on the quick acceptance of your submission. It’s usually a longer process. There have been several people who have asked me about my experiences with SBPRA, and most of what I have to say is already on my website. Perhaps you should see what the next step would be? Good luck and best wishes. I am in the same boat, but have been there before with a different company that ripped me off. Like you I’m not sure how to proceed with SBPRA. How’s it going with you? I’m still very happy, 10 books and 58 awards later! I am so grateful for the info, I just submitted my manuscript of poetry, being scared to send my novels, only my best friend/editor reads those. My manuscript got accepted, I was offer two contracts, but it is hard to decide which to select, I also have my lawyer looking over them. Your info has helped a great deal and now I think I can make my decision without regrets or questions. Thank you!! Thanks for sharing, and please keep me up to date if you get a chance. I love poetry! I’m a young author and have recently bucked up the courage to send in a query which I got an email back from SBPRA about saying that they are interested in my work. As I said, I’m a young author, older than 18 let’s say, and am a little weery about this kind of thing. Don’t get me wrong I’m also very happy that they want to take a look at my stuff, but I was wondering if you have any suggestions or advice for me about the SBPRA process or just the company itself? I don’t want to get scammed and you seem like an open honest person. Please read as much as you can of my SBPRA Info page, including comments to and from others, since I have tried to be candid about my experiences with SBPRA. I have been very happy, and feel that they have helped me a lot. Their philosophy seems to be to provide opportunities for qualified writers to get their books published, to offer guidelines for marketing (which is the other part of being an author!) and also additional opportunities to invest in more extensive marketing if desired – and then to give extra support to those who excel. You sort of have to determine how marketable you think your book really is, and then decide. There is some investment involved – more if you are a children’s picture book author who can’t draw – like me! – so then you have to invest in an illustrator as well. My fourth book is now at the printer’s, so you can tell that I am very happy with SBPRA – and I have another ready to go for next year! Good luck with whatever you decide. Hi, I’ve been reading the questions on here and I’m in a similar position to Sean. When you say ‘Bigger Houses’, who would you recommend? I’ve been offered the same two contracts as Julie more-or-less, which was quite a surprise (regarding the fact that I am a teenage writer). Obviously, I would not be able to pay the costs currently due to the fact that I am yet to leave school etc. is SBPRA trust worthy…i mean they arent fraud cause i found about it on the internet and i am really confused about it…so can you advise me on this. I would have to offer you the same advice as I gave Sean and Sam. Please take the time to read through my website’s SBPRA Info page, since I have tried to answer most of the questions there. I am very happy with SBPRA, they have just published my fourth book, and I will be releasing another in 2013. Each author has to decide whether or not you feel your book is marketable, and then only you can make the final decision. Thanks for all of the great advice. I just submitted the manuscript for my second novel to SBPRA yesterday. This morning I was having second thoughts about having done it. The information here sets my mind at ease. Thanks for letting me know, and good luck with your second book. Please keep me posted! I am the founder/managing editor of a literary journal, a selected collection of poetry, prose, aesthetic essays and art by 20 contributors. I have self published the first two issues through AuthorHouse. My book is submitted as a combined manuscript with all the layout, fonts, cover art all press ready. I approached SBPRA because I wanted an alternative to self publishing costs. I have pre-sold books. Was this a mistake? I gave them the full manuscript without a copyright. Now I’m worried. No worries. SBPRA will send you information about how to apply for a copyright when they publish the book. You do have to be careful that you have permission to use the collection from the contributors. It sounds like a wonderful book, and congratulations on pre-selling the copies! Your website seems very encouraging about them and I want to know if you think it would not be a risk to sign with them. Like Gemma, I am also an aspiring writer from South Africa. I signed a contract with SBPRA almost ten months ago and things have been going smoothly up until now. We’ve reached the ‘Print Production’ stage, which was only supposed to take a few weeks, but has already stretched out over almost three months. The publishing process seems to have come to a grinding halt and nobody over there can give me a straight answer. I know there a lot of factors that determine the amount of time it takes to get a book published, but how long did it take them to publish your work? Some of my family members think that my novel has been set at a lower priority because I’m stuck all the way down here in South Africa. Any new information you could give me would be greatly appreciated. I am sorry you have experienced delays in the print production stage of your book. My last book took a much longer time as well, perhaps because there are so many more new authors all waiting for their books to be printed. I know that books do tend to get stuck in a long production queue, which has less to do with where the author is located than which production facility is printing your book. I know there is a “when will my book be ready” selection on the SBPRA author site. http://sbpra.com/clientcare/ Have you tried submitting the “Contact Author Support Form” on the page? I will do what I can to try to find more information, but please let me know if you have tried these procedures – and whether or not you have received any news. My email is sherrillcannon@aol.com, if you would prefer to communicate that way. Please keep in mind, though, that I am merely a SBPRA author and not connected to the publishing company in any official capacity! Thank you very much for the info, Sherrill! I’ll try out your advice. It’s not that I’m being impatient, it’s just that this is my first novel and I’m very eager and excited to get it published (especially after all those damned ‘It’s just not South African enough’ rejection letters from the local publishers down here). I’m particularly looking forward to the cover design phase, and when the process came to a stop it made me restless and uneasy. Thanks again, and have a happy Worker’s Day! I have tried to answer that question in comments to others who have wondered the same thing… The problem is that no one can answer that question but you! I wish you the best in whatever you decide. Please read all the comments at the end of this rather long page, since it describes the contract offers and choices provided to qualifying authors. No, it is not anywhere near as costly as Tate!!! If you have any further questions after reading all of my previous answers, then please get back to me. I’m here to help as an SBPRA author, but I have no official capacity there! Since I am an author of children’s picture books, I really have no knowledge of procedures with novels, so I cannot answer your questions. (I am only an author there, not part of the organization.) I would think that it would be best to wait until your novel was complete, but I really don’t know. I do know that there will be some expense – because SBPRA is a “help-publish” publisher which means they help you and you help them. It differs from self-publish because you will have qualified professionals advising you. I think that the type of contracts they offer are listed here on this page in the comments somewhere (from potential authors who have asked.) I wish you the very best in your writing career, and I hope you will keep me informed. Hi Victor – I really have to say that I have no idea. I am a children’s author, so I’ve never been asked this before. But my suggestion would be to direct this question right back to Tom Wallace! Just copy and paste your email right to him! I wish I could help – but this one is beyond me! I do wish you the best, however! A male version of “Fifty Shades of Grey” would be worth pursuing!! My name is Brenda Chaput and I am a new release through sbpra. I agree with you. Strategic Publishing has been wonderful to me; as you stated they’ve been to you. I’m glad someone is letting others know. I hope others read my little message: Don’t fear to do business with sbpra (Strategic Book Publishing & Rights Agency), as long as they fit your needs. And check out my book: Wake Me Nots // Please Don’t Disturb Me Till I Find Out What Happens! (FINALLY, SOMEONE READ MY WORK)!! I STILL can’t believe it! But it is on its way to market. Thanks Sherrill. I’ll be looking at your books. Yours truly, Author Brenda Chaput…………………. Thanks for the positive input for SBPRA and good luck to you in your marketing efforts! sbpra seems to be good by what you say but is it really trust worthy wont they use any of our information about the submitted books in a wrong way, are they really safe, is my money safe because i cant risk losing any money as i am not so rich and am just out of high school, need money for collage so i just cant risk any thing but i have already submitted my book and was accepted quite easily that’s what freaks me out i am new at this . I have faith in my book so i just signed the pre-sales contract i just don’t know if i did the right thing. I can verify that SBPRA is trust-worthy and that they won’t use any information about submitted books in a wrong way. Yes, SBPRA is safe, and since you have elected to use the pre-sales contract there should be a minimal outlay of money. SBPRA accepts many qualified authors, with the philosophy that everyone should have a chance to let the reading public decide which books are successful, rather than restrict those decisions to a few editors with way too many manuscripts to evaluate. That is why you feel your book was accepted “easily” – although if it did not have potential, it would not have been accepted at all. I am glad that you have faith in your book, and I am sure you have done the right thing – but don’t forget that publication is only the first step. Marketing is equally important, so start thinking about ways to get your book (when it is published) to the reading public! Good luck, and please keep me posted! thanks a lot your words are really soothing you are kind and speak well, thank you and please help me with any other information you have about the market. I have read all of the above comments and found them very useful, so firstly, thanks! Secondly, I read that you have done quite a bit of work in marketing your books (talking about / reading your books to kids at schools, signing sessions, discount prices etc), however, after reading my contract offer – Contract Option 1 (same as Julie’s Post – 22 Feb 2012 above) it reads ‘We include all typesetting and cover design necessary to finish your book and will make your book available to thousands of book outlets around the world as well as direct sales from the website we will create for you’. In ‘making available’ I read that as get it out there and let the readers decide its value (as you stated). I have several questions:a)What other marketing did they do for you? b)What marketing would you be expected to do for yourself? c) If you’re really happy with your book (kids book with great illustrations completed) would it be possible to be successful in the marketplace based on the book and SBPRA’s efforts or would you have to work hard yourself to market the book? Just want to say THANKS for writing such words as: “I can verify that SBPRA is trust-worthy”. I truly feel that they are, by experience, because I’m very happy with them and the way they keep up with me. They keep me informed; and they have done for me everything they promised. My book is out there. I love my cover. I’m on the Nook and Kindle. I’m published!! To those who read this, check out my cover (sbpra.com/Brenda Chaput)WAKE ME NOTS). It is sooo nice to have a publisher who CARES. Thanks so much for your positive comments, Brenda. It’s nice to have more verification!! I’ve been reading some of your “HELP” advice. Mentioning “Client Care” is very important for new authors. And let me say: Client Care has always gotten back to me. And it’s neat, too, that SBPRA has a place to go, for worried authors. Strategic is very aware that new authors might worry; and is the reason for “Client Care”. Strategic worries too. Especially about new authors. New authors can think just about anything, because of all the fraud out there. They know it, so they have what new authors need: A CARE-PLACE FOR CLIENTS. I really do love your work, Sherrill. And THANKS for answering worried authors. Thanks for your great posts! I have recently had a novel accepted by SBPRA. However, after reading some negative comments about them, I have been hesitant about going with them. I guess like any business there will always be some unhappy clients that are usually the loudest. Hi Jeffrey – thanks for the positive conclusion. One always has to remember that a publishing company like SBPRA strives to allow talented authors a chance to become published authors, instead of waiting for an editor to get around to approving a manuscript, especially if you haven’t been able to find an agent. The success of your book will be up to you, because you will have to have faith in its marketability, and then get the word out about your book. You can also pay for extra marketing help, but I’ve done most of mine myself – and the more successful my books become, the more free help I get! Best wishes, and keep me posted! hello, I have reviewwed about SBPRA. I have been already offered a contract. I’m not yet 100 % sure to agree. The company requires $175 in order to publish That’s a lot of money to put out, since I’m from the Philippines and still a college student. My family is second-guessing about SBPRA since it may just be a scam r what. I have also read SBPRA in Writer complaints. “Writer Beware has received hundreds of complaints and advisories of fees for literary agency services, fees for publishing, and paid critique and editing referrals. Other questionable practices include selling marketing services to authors, charging authors to attend book fairs, and referring clients to other branches of the business without revealing the connection.” How’s that? can’t decide. I agree that $175 is a lot of money, especially for a college student no matter where you live! But SBPRA does charge a fee to publish – and usually less than many of the others. When you publish with a “help-publish” publisher, you contribute to the publication of the book, but usually your royalties at some point will help cover the initial investment. Unfortunately this takes a relatively long time, so you must be prepared for that. Writer Beware has some sort of hang-up about the company, so I wouldn’t rely too much on that – but it is true that there are other fees along the way. This is true of most help-publish and self-publishing opportunities – especially since you retain all the rights to the book. All of these fees are voluntary, however, so you can invest as much as you feel comfortable about. No one forces you to purchase any of the extra services. You should keep in mind that if you wish to have a minimal investment in your book, you should submit to the traditional publishers. The downside is that takes a LONG time! So it’s really up to you – How much you can afford, and how marketable you feel your book is! I wish you the very best in whatever you decide. I’ve just about completed my follow-up book with SPBRA and have no issues with the contract or the publication. Certainly a good deal more professional than Author House (whom I would recommend people avoid). My question to you is the Foreign Rights/International Fairs. Have they worked for you? If so, which one/s were successful? Have you received any Foreign Rights deals and how long did the process take for you? I am glad things are working out for you! Yes, the Expos are working for me (I think) since I am hoping to be part of an agreement with the Chinese government for a couple of my books. But you are fortunate, in that it takes a long time to establish a relationship for foreign rights. SBPRA has diligently pursued this path for several years, and it is beginning to work for them. So the newer authors will benefit a lot more quickly than those of us who have been part of the negotiations from the beginning. I would advise taking part as soon as possible, at least for a year, to see how things develop. It’s a wonderful opportunity for those of us who have participated for several years, and an even greater one for those who can take advantage of the groundwork which has already been laid! Good luck, and best wishes! Firstly, may I offer my congratulations on a stunning run of publishing and selling success. Secondly, I would like to add my weight to the argument in favour of going with SBPRA. I have just completed the process of getting my first book published and must say that I have experienced nothing negative with SBPRA. On the contrary, the process was smooth, and the staff friendly and efficient. It is true that I have had costs along the way, but at no time were these costs unknown to me before I decided to go with the company. Like most people I tried the traditional route, but I was faced with the problem that has been highlighted here of not being considered due to the fact that I was an unknown, and “don’t come back again without an agent”. This being the case, I would like to suggest to anybody out there who is unsure of what to do, you have a simple question to ask, “Do I want to invest nothing and wait for a lucky break that may never come, or should I take matters into my owm hands and speculate to accumulate?”. SBPRA works. Finally, as I have a variety of young people in the family, could you advise me as to which age group your books are targetted? I may be in line to buy one or two. My own book, if you think someone may be interested is Nostradamus: Killing the Myth and looks in detail at the works of Nostradamus, disproving the idea of him being a seer of the future. Thank you for your nice endorsement of SBPRA. There are many of us out there who are happy with SBPRA, but we tend to focus on promoting our books and working with the publisher, rather than complaining. It’s always nice to get another vote of confidence! Hi Sherrill, I was offered a contract with SBPRA. Do you know if they ever turn any books down? It seems they replied very quickly, and did not even use my name in the email. It seemed more like a form email. Just curious if I actually got selected or if they send an offer to everyone. Hi Rebecca – Congratulations on being selected to be offered a contract for your book. Yes, I am afraid that with so many submissions, they probably do use what seems to be “form-emails” to get the initial information out to prospective authors – but no, they do not send offers to everyone! They also don’t send the same offers to everyone!! I cannot really comment on what kinds of contracts are offered, since I am a children’s author and not an employee and I only know about my own! SBPRA does try to give qualified authors a chance to get their books published, without lengthy delays (or no answers at all) – and the philosophy is that the public should decide which books are going to be bestsellers, so why not give talented authors a chance? If you think your book is marketable, and you have faith in your talent, then the choice is yours as to whether or not to publish. Good luck and best wishes! SBPRA has just published my book. MELTING LOVE MOMENTS Lynne Pickering A feel good romance novel 240 pages. It was released on Amazon.com and Barns&Noble , and Booktopia.com and several others now . SBPRA have been very professional and the fees are up front in a scheduled list. I originally submitted my manuscript to a London Literary agent whose every author they seemed to publish had no less than a PHD or several degrees letters after their names. They were really not interested in first time authors. Christmas is upon us and it is hard to get delivery so close so I am planning an advestisment in my local town in Australia and a book signing for January in the local library and I thought I will contact some large stores and offer then I can do a book signing. I have 5,000 art customers all around the world so I am emailing them with my details of the book and where to purchase it. I know that marketing the book is the hardest. I want to know have you had any interest from your books by other publishers via book fairs ( International) I recently paid $795 for my book to go to the book fairs in 2013 have you had any feedback on those?. I am very happy with the quality and finished book. I think the authors have to make an effort as well. My son in law found alot of the negative blogs on the internet and went out of his way to show them to me saying I had made a mistake in selecting my publisher. I have been in business for many years and you will always get some disagreeable person especially if things are not going right for them I want to know how regular are you receive your royalties? Every 90 days? So far SBPRA has been totally professional in everything they have done, now I have to think of marketing ideas to get the book out there besides the online stores. On YOU TUBE I did a short video and linked backed to my facebook page only yesterday. The writer beware blogs are disturbing, but I believe in taking people on face value on not on rummors or some disgruntled author or authors. I would love to hear from you in relation to this matter. I hope my customers receive their book soon so they can give me a book review. Congratulations on the publication of your book. I wish you the very best. Thank you for the positive input for SBPRA!! I find book signings and any type of publicity essential to the success of books. There are so many books out there, and it’s up to the author to help find potential readers. If you have 5000 art customers, you are off to a very good start!! I, too, have participated in the Book Expos and believe that now they are finally coming to fruition. It takes a long time to establish contacts and working relationships, but SBPRA has been at the forefront of this and I think that this is a very good time to stay on their lists! I am sorry your son in law read the negative stuff – always so many more complaints than praises – and there is one witch-hunter in particular who seems unable to accept that there are so many happy SBPRA authors to don’t waste their time complaining. As for royalties, they are listed monthly and paid quarterly. They have to be above a certain amount though. So good to read these timely posts. I am so glad I found this forum. I too, have been offered a contract with SBPRA only recently. I feel so much better for having read all the positive comments. Sherrill, can you please enlighten me a little more on… The next book is published free! Thank you. If you want to know something, ask those who know!!! So glad to see others on your site who have been published and giving SBPRA positive input. New authors can get so scared about letting publishers have their work. But it looks as though SBPRA is being trusted more, because of authors like you, who have sites like this one. I know one thing for certain, this site really does help the unsure author. I hope you always keep it. I’m very glad you started it. I’ve been very busy working at my job, and working on my second book “Wake Me Nots — Two”. More exciting twists and turns, with jaw dropping impacts. Thrilling Mysteries! To your readers, and for the record, I owe it all to SBPRA. They’re terrific! Thanks, Sherrill — and thanks for the books. My young nieces love them. Just wanted to say HELLO and say I’m glad to see more happy published authors on your site. New authors can get very scared about giving their work to publishers, but it looks as though, with the help of your site, SBPRA is getting more and more positive comments and reviews about what they’ve done to help the new author. I’m very glad you have this site. I hope you always keep it, and I’m very glad you started it. I’ve been very busy at my work, and writing “Wake Me Nots — Two”. More spine tingling tales, and action packed mysteries, coming soon! … And to your readers, I owe it all to SBPRA. Thanks, Sherrill, for your continued help on this site. And thanks for your books. My young nieces love them! Hi Brenda – thanks for the nice comments. Good luck with your new book. I am getting ready to announce mine…maybe today! All the best with your new book. I’ll be watching for it. Where are you going to announce it? I’ll continue to check on your sites. I’ll let my family know when I see it. We have lots of little kids in our clan. Can’t wait to see it and read the good example you’ve put in there. I hope you had a good holiday. I hope you have a great New Year! I’ll catch you later. Kindest Regards, and best wishes, always, Brenda Chaput ……………………………………..
Did you have to pay extra cost to get your book on eBook on Amazon and Barnes and Nobel through SBPRA? Yes, I had to pay to get the books converted to the eBook formats, including the ISBN’s. It is worth the investment, however, to make the books available in all formats. The royalties are handled separately also. It is entirely up to you, though. It is like a dream! My book, which is a literal translation of the HESIOD THEOGONY 800-700 BC, is on the final stage and in few weeks will be published. I must thank SBPRA for all their work and effort all this time.I also must thank you, your books and your website for making me put aside all my doubts and trust SBPRA. Now I understand all the negativity and mudslinging against them. It is because SBPRA has set a milestone on book publishing, away from agents and publishers who most of the times underestimate the work of the new authors. I insert a quote of OEDIPUS TYRANNUS. Congratulations on your pending publication! Thank you also for your thoughtful comments. It is always nice to get positive feedback, and I appreciate you taking the time to do so. I wish you the very best!!! I am publishing my first book and I been selected to offer contract from SBPRA, I am very happy and very scared to send my work to them . I been reading negative and positive. Things about them. But this forum really made me more confident about the co. Thank you very much girls you made my life easy . Thanks Sherrill giving all the positive answers ,I can trust you and SBPRA. Happy new year ,and good luck to every one. Thank you for your candid comments. You are right that it is both thrilling and frightening to submit to a publisher, and even more so to commit to a contract. Congratulations on being selected, and I hope that the publishing process will be a wonderful experience for you. Just please be sure to follow their suggestions as much as possible, since they have your best interests in mind and want you to succeed as well! Also, my most important piece of advice to any author is to have your book edited before final submission. Good luck!! I have a book of romantic poetry. I have been offered contracts by four different publishers (self-publishing). Another told me that people don’t read poetry these days. There is no market. I believe in my work and the positive feedback I receive from acquaintances, friends and strangers,plus online venues like poetry.com and others. So, I, on a whim, decided to test the waters with SBPRA. I like the professional manner of their communication. They offered me a contract. They stated they don’t offer everyone a contract. Unlike some self publishing companies that will sign you up as long as you have the money. My questions, because I am leaning towards SBPRA; how quick are they with their responses to your questions? Did they create your website for you? How much input did you have regarding the content of the website? Did choose the pre-sale option, no, better way, were you offered the pre-sale option? I am so grateful for your comment section. SBPRA has always been very responsive to me, especially since I take care to try to send my questions to the right place! They have a wonderful “clientcare” operation, which is very helpful. They do create an author website for you – my official author site is http://sbpra.com/SherrillSCannon but I also paid a yearly fee for this one you are commenting on (http://sherrillcannon.com which is linked to the aegauthorblogs for SBPRA authors.) Now that I have just had my fifth book published, and am capable of keeping this site running on my own, I no longer have to pay the fee. They are great about helping invest in authors who invest in themselves! The pre-sale option was not available when my first book was published, although if you have a lot of people ready to invest in your book, it seems to be a great way to go. I can’t comment much about the contracts, since I am not an employee of SBPRA, but rather a very happy author who was tired of negative comments. Since I feel that most complainers take the time to send negative comments, and the rest of the happy authors are too busy to write positive comments, that I would give back to SBPRA a little, because of the wonderful opportunities and support they have given me! I wish you the very best!!! Thank you, Sherill, for sharing your story of success with SBPRA. I had read some of the negative comments written about this company, and was feeling discouraged.After reading your letter of success; I now feel confident in submitting my manuscript. I am also a children’s picture book writer and related well to the numerous attempts to publish my books with receipts of we are not accepting material at this time. Receiving letters with no interest is also disappointing. I, like you,have faith in my material and believe writing for children is a special gift. Gifts are to be given to others. Thank you, for sharing your story. Hi Guys thank you all soooo much for posting your comments and stories, I have just signed a contract with SBPRA for my Childrens Book When the Twins met Toby, I was so worried when a friend of mine sent me a link to ‘writers beware’ site…but thanks to you I feel much more confident in my choice and am looking forward to getting my book out there. I had just received a contract from them and they said not many gets into their market. They loved me and willing to work with me. The only thing is that I heard alot of bad feedback. I’m starting think that its a lot of bad writers that makes these complaints. I’m going to continue on praying and hope this work out for me and than tell you my experience. Oh and Congradulations! Congratulations on being accepted by SBPRA! My only advice (which I give to everyone) is to be sure to have your book edited before releasing it. As for the bad feedback, most of it comes from a disgruntled former employee who happens to have a website. It’s not just bad writers who make these complaints, but mainly from writers who have not contributed much to the marketing of their books. Marketing is the other half of being an author, and it will be up to you to help promote your book – by ways such as Facebook and Websites and Blogs! I wish you the very best – keep on praying – and please let me know how it goes! So glad you can get around to answering scared authors. How do you do that? I know you’re very busy. And people sure are glad you answer them. Sbpra sure does need the support. And I can see that you do what you can as soon as you can. There’s quite a few possitive letters above. It’s growing. Many “THANKS” always, yours truly, Brenda Chaput (just so readers will know. Another published new author through SBPRA):Brenda Chaput:WAKE ME NOTS. I have been offered a contract by SBPRA for a western, one of a few in a family saga. They want about $1,000 up front; next book, if there is one, I would get about that in an advance. I want your advice on whether that seems like a good deal to you. I want very much to be published, but I know that it at least used to be the case that publishers got paid when your books sold, not by you in advance. Has the market changed? Any advice and knowledge you can pass along will be appreciated by this would-be author. I am so very glad I found your website! As so many have said I was concerned about the amount of unpleasant information I was reading about SBPRA and as I am about to publish my novel “Caitlin and The Cafe Man” with them, I was so pleased to find you!! Congratulations and thankyou for being a light in the darkness of angry blogs and for standing up for a company who are trustworthy – despite the negativity out there – are good at what they do and really look after their authors from the very beginning! How exciting – and congratulations on being offered a contract with SBPRA! Yes, there are a lot of negative comments out there, and it’s a shame. It’s sad to consider how many authors have given up on their dreams because of disparaging comments from those who have been unsuccessful. No publisher can guarantee success, but you will find that SBPRA will offer support every step of the way, especially to those who help market their books (the other half of being an author!) Just be sure to have your book edited!!! Good luck, and thanks so much for your note! My God, you are probably a gift from Heaven! My book “Straight and Lethal” is about to begin the editing process by SBPRA, my website is being set-up and I started to read all those negative comments, I almost fainted. Thankfully I found your website and now I am again very happy and excited about everything. I guess people can be really mean sometimes just because things didn’t happen the way they wanted!!! I have some concerns about publishing with this company and I was wondering if you could help. I too have read the bad reviews but they don’t actually seem to say much other than the company has changed their name a bunch of times. I have customers in the business world who have done the same, and it’s not only legal, sometimes it is necessary. My main concern with this company is this: I am not in any kind of financial position to pay any kind of money to publish my book. I know I am a very good writer, I have won awards for my writing back when I was in school but I’ve never been published. Is it absolutely necessary to pay money to publish with this company? I am very pleased with SBPRA. They are generally within the time frame that they tell me. My book, Call Me Sergeant Rock will be released shortly. I have no complaints whatsoever. Thank you for your wonderful website, it has put my mind at ease. I have been trying to decide whether to send SBPRA my manuscript or not. I am very new to this and always worry that if I send my entire manuscript to a company that someone could “steal” it and publish it under their name. Am I being silly ? It seems by all I’ve read on your website that they are quite reliable. Can you email me back directly? Sometimes I can’t get onto the web at work. I recently sent the first three chapters of my novel to SBPRA and they want to publish my book. I am hesitant to send them my entire manuscript after what I have read on other sites. My husband is convinced it is a scam because they want money and they didn’t comment about the material I sent them at all. I am trying to do my research before signing the contract. I feel a little overwhelmed as it has been my dream to be published and I have been working on my novel for 5 years. My worry is over whether they are a legit company or if they will just take my money and my manuscript and run. Help! Wow! I am happy to hear that SBPRA is a good publisher. I just signed a contract with them. Congratulations on your new young adult novel, Deported! I know you will be happy with SBPRA. My book is in the last stages of production with SBPRA, and I have to say so far I have been extremely pleased with their professionalism and the way they have guided me through the whole editing and pre-production process. There was never any pressure from anyone at SBPRA to do anything other than what I felt comfortable with, and it has been a very inexpensive process. Considering what a literary agent would have charged to represent my book to a publishing house, I think the very transparent manner in which SBPRA have dealt with me is a breath of fresh air. I am happy with the royalty deal I have been given, mostly because I have some control over how my book is promoted and I am not afraid of getting out there and selling it, there is also no obligation that I buy any number of books from the publisher, or chance that I will see my book in a remainders bin. The negative comments I have seen in some forums, just don’t gel with my experience of SBPRA to date. I would recommend asking as many questions as you need to make the right decision for you, regardless who offers to publish your book. The devil is always in the detail. I hope this helps. Congratulation. I am glad having a forum like this with an sbpra author. Your testimony about the easy access, friendly and stress-free publishing process with sbpra is true. I am presently publishing with sbpra and i am already happy with what we have done so far. And i know sbpra’s marketing ideas will soon make my book ‘Alcohol and a Drug-free Nation’ reach large percentage of global youth or adult with an impact. Thanks for your additional confidence building. TO NEW AUTHORS: Sherrill Cannon has always been a person who cares about authors and their hard work. She’s a hard working author herself and has been for a long time, so she realizes a lot of things (mistakes) new authors can make when just beginning their publishing book career. The BIGGEST mistake we make — I’m including myself in this (I’m a new author) — is THINKING we can EDIT our own work. Sherrill says: “It’s very hard to find all the errors.” She knows about this because she’s probably seen it many times where a new author can’t afford EDITING COST, thereby they do it themselves. But I CANNOT say this STRONG ENOUGH. SAVE FOR IT! Your work is worth the wait. I didn’t and I’m sorry now, because it HURT when I was told about it. … Let me tell you about this; finding a 3 star review on Amazon, with the complaint, after seeing 5 star reviews first. You see, most of my errors are punctuation, spread out over 18 short mystery tales, so the errors don’t disrupt the flow. This is probably WHY the reader still gave me 3 stars. The reader liked my stories, but she took 2 stars off because of the editing problem. The reader paid for my book. The paying reader deserves to get the best possible, since they are buying our work. We are not BIG STUFF, we new authors. We are UNKNOWN. So it’s truly wonderful when a reader buys our book and gives us a chance. The buying reader deserves NOT to be short changed — and the author also. We work HARD. And it doesn’t feel good at all when we are told about the botch-up in our HARD WORK. IT’S NOT WORTH IT. Not worth sparing the cost of a PROFESSIONAL EDIT. My best advice, now, after going through this, is Sherrill Cannon’s advice. Be patient and wait and save and DO the right thing! Get a professional edit for your work. Try not to let anyone down. Including yourself. In closing: My book is approximately 80,000 words. After working all day and then trying to look into a blaring computer screen — to save money — I hit wrong keys — typos — and didn’t know it. I didn’t even see them when I re-read it. Professional editors offer FRESH EYES to edit your work. Several Professionals go through your work with a fine-tooth-comb. And they know what to look for. I didn’t know how to do that; and friends helped me, but they didn’t know what to look for either. There’s a lot to a professional edit. … The truth is, I believe my book is okay — to a degree — because it’s not a novel. It’s a collection of short stories. It’s easier to edit short stories — one by one — than say, a 200,000/300,000 wordy novel. But to let you know, my next short story collection is going to be professionally edited. I’m SAVING, I’m WAITING, I’m NOT going to SHORT CHANGE anyone this next time around; and to the new author, I hope I’ve been convincing. My highest regards to Sherrill Cannon and Authors everywhere. Thank you Brenda. I’m so sorry you had to learn this the hard way, and i commend you for your concern for other authors! One other piece of advice: read your work aloud. You’d be surprised how many errors you may find!! How do I make the public aware of my book, which SBPRA have published, the public aren’t buying it as they don’t know about it. I paid a lot of money up front to get my book published, but it’s not selling. I don’t want to have to spend another lot of money promoting it, so what should i do to get sales? I want my book to be in shops, ect. but it’s not cause so far I.m an unknown author, how do I solve this problem? I have answered you privately, but part of that information I am posting here since I’m sure there are others who feel the same way. For starters, you should add your SBPRA author link to your book beneath your signature, every time you send an email! That way, you are making people aware that you have a book, and it’s free marketing for you! Since yours is a Poetry book, another thing you can do is to go to Google Alerts at http://www.google.com/alerts set up notifications for yourself using keywords such as poetry, poems, gardens, flowers, roses etc. This is also free, and every time someone clicks on a link using these words, you can shoot back an email about your book! There are also contests with entry categories for poetry books, such as the London Book Festival http://londonbookfestival.com/portal/content.asp?ContentId=549 I suggest London, since you are closer there in case you wanted to attend – but there are others as well. Winning a contest does a great job of marketing your book! So try to get some reviews – people look for those on amazon and bn.com – and send emails to your friends and ask them to share. Perhaps take your book into some local book stores and ask if they will put them on consignment for you. PS – I’d offer to review, but my policy is to never review rhyming books or poetry… As a former teacher, I am much too critical! Hi there, I was contacted by SBPRA and was wondering, what are some of the “bigger” publishing houses you’re speaking of when you say maybe try them? It’s hard as a new writer to know who to contact and where. Like many of the others commenting, as a new writer, sometimes it is hard to hand out money to help publish your books. I am an author of various styles from poetry, fiction, horror, thriller, zombies, erotica, non-fiction and blogging. I’ve replied to SBPRA and sent in manuscripts of 2 poetry books and one fantasy/nonfiction (combination of the two). I’d love to see them hit book store shelves, as I have them on Amazon now but, can’t really afford to pay out much if anything to get started. If you could kindly suggest any other “bigger” houses that don’t ask for fee’s, I’d really appreciate it. Thanks so much for your interest in my site, and for the opportunity to try to help you with your inquiry. The “bigger” publishing houses I refer to are the traditional publishers, such as RandomHouse, Scholastic, etc. – and there is a list at https://joanyedwards.wordpress.com/2013/04/07/32-publishers-who-accept-unsolicited-manuscripts/ about publishers who accept unsolicited manuscripts. The problem today is that most of the big publishers will NOT accept any manuscripts not submitted by an agent, or if publisher approaches you. (Don’t hold your breath!) I don’t think there is any “easy” way. However, about getting your books on bookstore shelves, the bigger bookstores like Barnes & Noble are not interested in POD (print-on-demand) books. (B&N does have a Small Press Division, where you can submit your books. I know some of the SBPRA authors have gotten accepted and are on the shelves in some locations – at least they used to be! I have never been accepted since my softcover children’s books do not have a title on the spine of the books and I don’t want to raise the price of the books to get that feature.) In Vestal, NY where I used to live, Barnes & Noble had all my books on their shelves and I did multiple book-signing events there – mainly because the store manager really liked the books and did an “Override” to make them available. (Not so in Philly area where I live now! Absolutely no POD books here!!) Smaller bookstores will usually carry them on a consignment basis. You should check out bookstores close to you, and approach them as a “local author”. I think the best way to market books is to enter (and hopefully win) some contests. If you’re interested in information about those, please check out : http://authormarketingideas.com/contests You don’t have to join SBPRA to get the info, but that is where I give advice to authors. There are several that have Poetry categories, as well as most of the genres you mention. You have asked some good questions that I’m sure others share!! Thanks for contacting me, and please keep me posted! I was given your name as a reviewer of children’s books. I have published two and am seeking reviews and wonder if you would be interested. I don’t see any way to contact you other than here. Thanks for your time. My email is sherrillcannon@aol.com… Please send email… Many thanks!